Paint Shellharbour REaD launched today with two great events. At the Mayoral Breakfast community leaders donated their favourite children’s books. At the Children’s Launch, local children enthusiastically created leaves to add to a tree, so that it would grow strong and inviting for their mascot to live in. 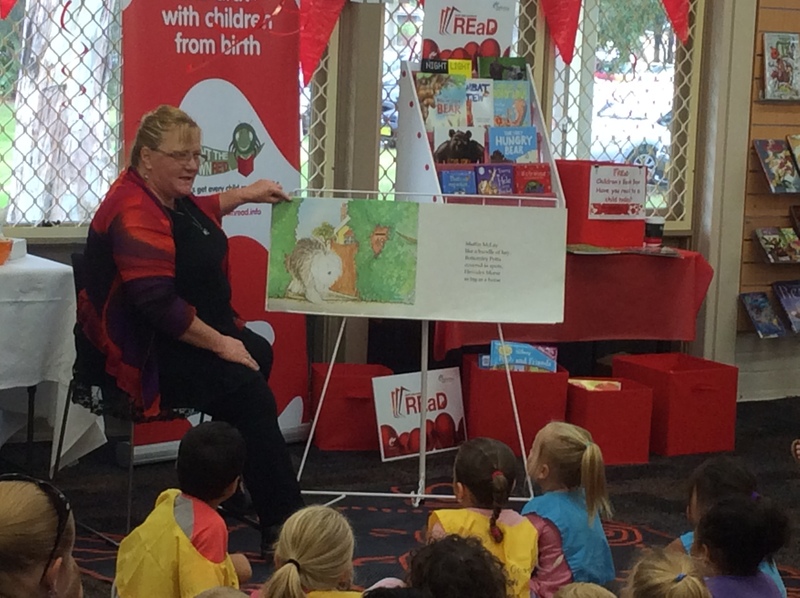 The Mayor of Shellharbour, Cr Marianne Saliba, reads her favourite book to the children.